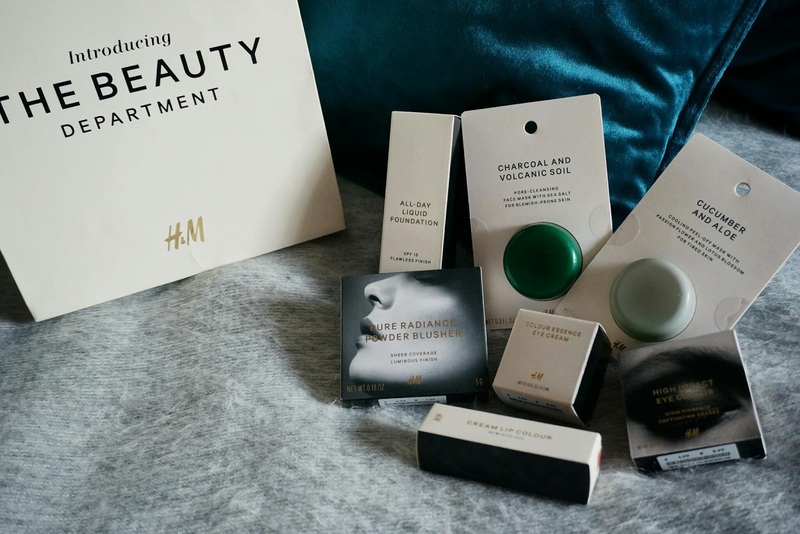 Since receiving the H&M magazine through the door, I have been dying to pick up some of the new beauty items that H&M has launched. First up, is some face masks, I picked up Cucumber & Aloe and Charcoal & Volcanic Soil. Cucumber & Aloe is a peel off mask with passion flower and lotus blossom for tired skin. Charcoal & Volcanic Soil is a pore cleansing face mask with sea salt for blemish prone skin. They come in a cute round foiled plastic packaging. There are a range of different face masks targeted for certain skin types, all with different coloured packing and smells. I haven't heard about anyone talking about these yet so I am eager to try this out. These retail for £1.99 each. Next is foundation, as you all know the lighting in H&M is not great, so I found it difficult to colour match myself, so I finally gave up and picked up a shade that I would normally choose for foundations which is warm beige. I have noticed that H&M caters for different skin tones, as I came across cool beige and soft sand etc. The H&M that I went to was quite small so I don't think a whole colour range was available to select from. 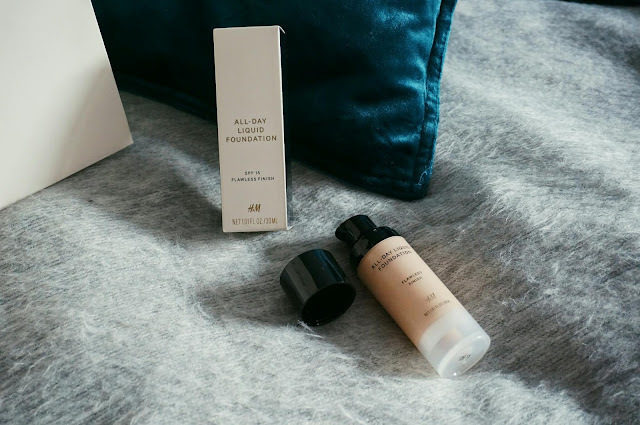 The foundation comes in a plastic bottle with a pump applicator.The pumps applicator brings out a lot of product, the foundation itself is very runny, blends smoothly, and has a satin-matte finish. One of the other things I noticed was the smell, it smells of baby wipes which I do not know if it will linger on throughout the day. I haven't tested this out of my face yet so an in-depth review would be available soon. This retails for £7.99 and has SPF of 15. 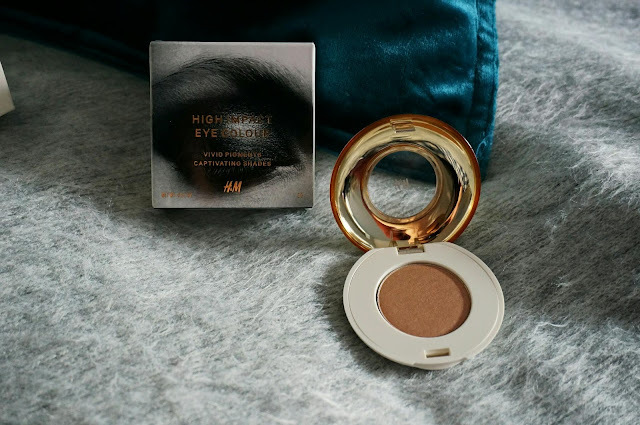 I picked up the single eyeshadow, which is called HIGH IMPACT EYE COLOUR in the shade ACT YOUR BEIGE. ACT YOUR BEIGE is what I would describe as a shimmer light bronze shade. 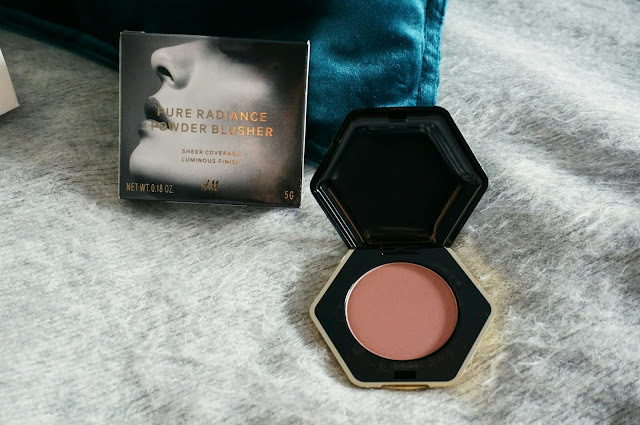 The eyeshadow powder is extremely smooth are indeed extremely pigmented. There is a wide range of colours to select from, I wanted to pick up this other copper foil shade but it was sold out. I am going to try out this, and if it swatched like it does on my hands in one swipe on my eyes, I will be going back for more. So keep your eyes peeled. The single eyeshadows retail for £4.99 each. 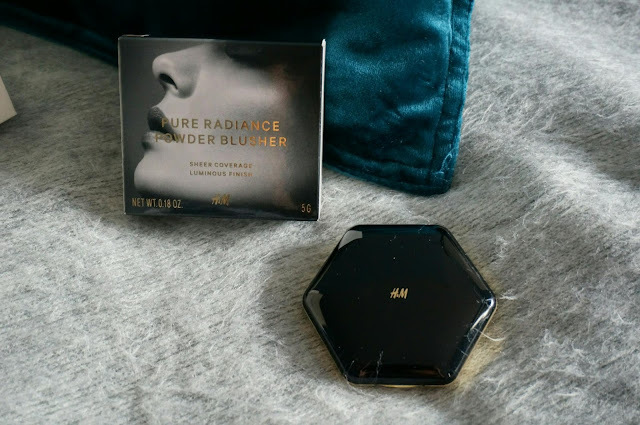 I next picked up a blusher, I choose the powder blusher over the creamy blushers as my skin works better with powder formulas. And selected the colour DEEP BROWN, which is as a matte mauve colour, which I may use as a contour shade, depending how it applies onto my skin. The powder is a sheer finish, but I hope it's build-able. The packaging of the blushers are a little different coming in a hexagon shaped container. Has a black top lid and gold on the bottom side.The powder blushers retails for £6.99 each. 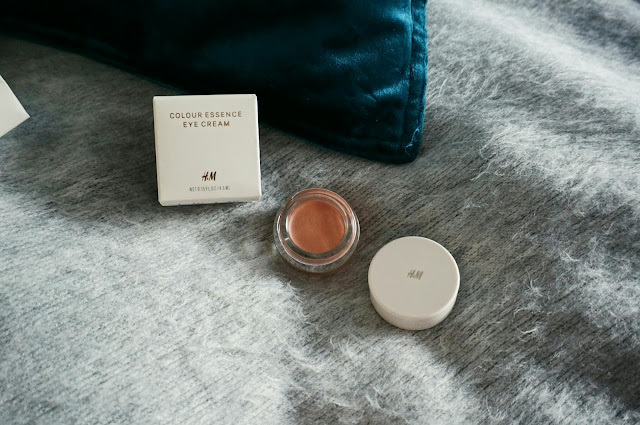 Next I picked up a cream eyeshadow called the COLOUR ESSENCE EYE CREAM in shade COUNTESS. This product is like a eye primer base similar to the Maybelline colour tattoo but has a moose texture which make it more smooth and easier to blend. COUNTESS is a beautiful light beige pink with a light shimmer, which would be a lovely base for any eyeshadow. These retail for £4.99 and comes in about 8 shades. 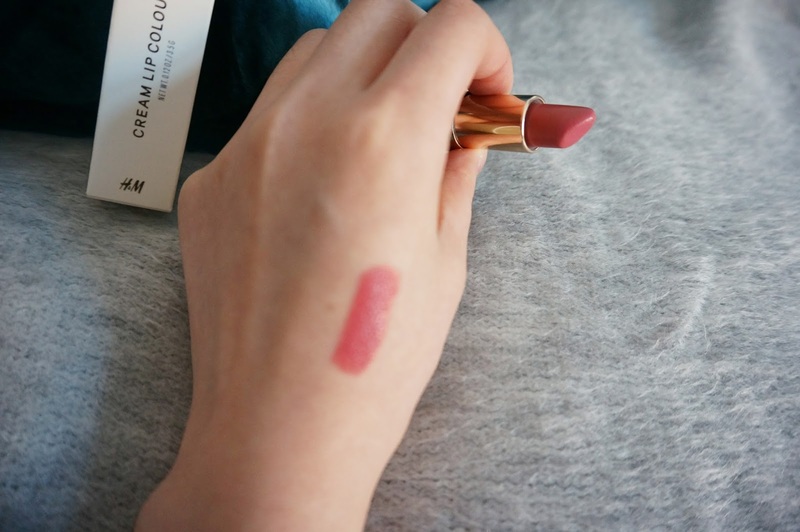 Now back to the lipstick, which is one of the hardest things to choose from the H&M beauty collection, there are just soo many colours, and they weren't catergorised well in shades. The lipstick I picked up is a watermelon pinky - red shade, the formula is extremely pigmented, creamy, smooth and has a satin finish. 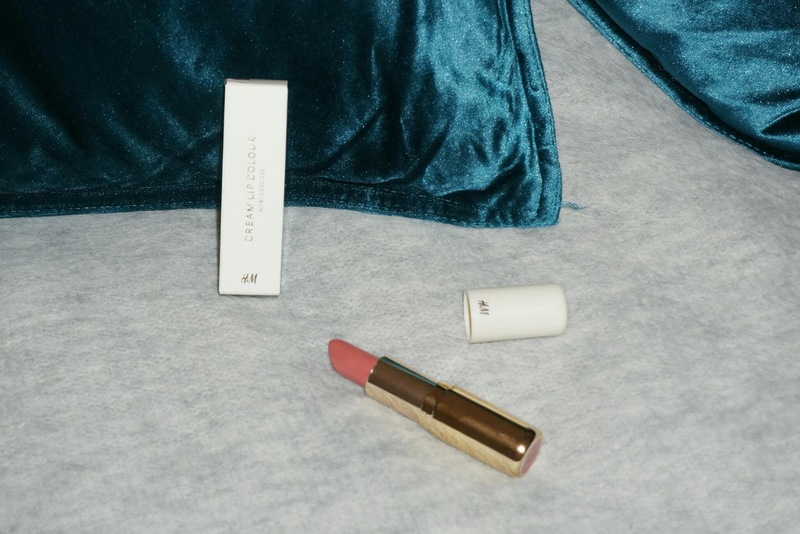 The lipstick has a white lid and a gold outer case, clicks together extremely well and looks very sleek. These retail for £7.99 and has a extremely wide choice of colours. The shade on the packaging does not match the product at all, so make sure you are grabbing the right colour code. Have you picked up any of the new H&M beauty collection? In-depth reviews available here. Until next time! 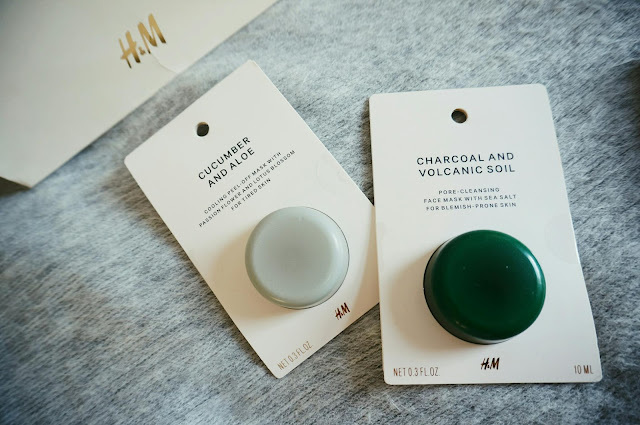 The charcoal and volcanic soil face mask sounds like it would be amazing for my skin - I'll definitely have to give that a try. 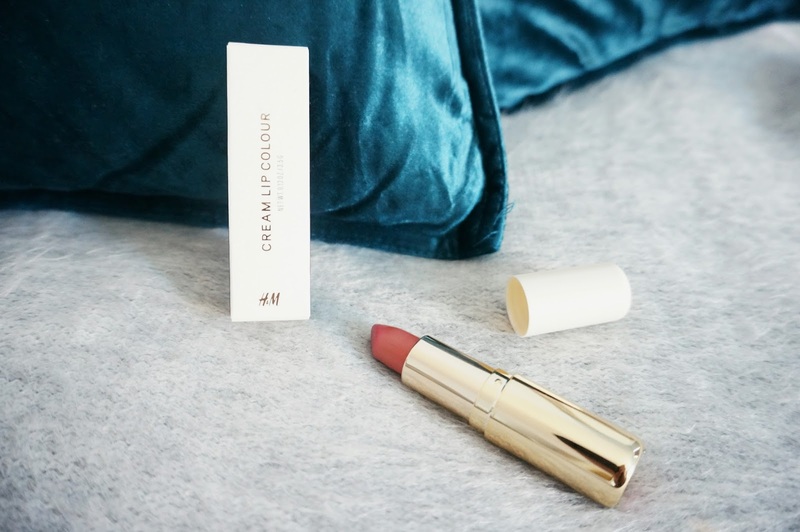 As a massive lipstick addict I'm also keen to purchase a couple lipsticks from the range, the packaging is also super instagram worthy haha! Thanks for introducing those products ! I don't think I would especially try them all but they seem fun and the packaging is not as cheap as I thought it would be ! How did I not know about h&m beauty! They've got some seriously great bits, I'd love to try! I actually really enjoy the packaging too. I remember buying an eyeshadow palette from h&m a few years ago and I was so unimpressed, maybe they have uped their anti, might have to try some bits out! So excited to try the new H&M make up! Definitely gonna have to go in to H&M to check out their beauty stuff now.. I'm really interested in the face masks! Even though I've been to H&M a thousand times I don't think I realized they had beauty products as nice as these! Love that lip stick shade! I hope they sell it in the U.S.! Thank you so much for sharing! I love those eyeshadows and lipsticks, also the packaging is lovley!